There’s a scene in the new Star Trek where kid Spock is in an individual learning pod with poetry, calculus and whales floating by. This scene is immediately followed by him swapping blows with a crew of sociopathic Vulcan classmates. I think these two scenes sum up my concerns about an overly automated education. Sure these Vulcan kids would nail their standardized test, but they’re also sorely lacking in social skills and grace. Computers can’t do everything, but they can do some things. But I’m jumping ahead, first let’s frame the problem. It’s important to note that the US is much bigger than most of these countries (we spend over $800 billion a year on education, Germany, for example spends closer to $130 billion). We also have a much more diverse economy than most countries. If you take the European Union as a whole (I think our closest comparable), in aggregate we’re spending about the same, if anything a bit more as a percentage of GDP (there wasn’t data for China and India). One really important factor in US education spending is the disparity between rich and poor states, and even more acutely, the difference between rich and poor districts within those states. Jonathan Kozol speaks very well to these issues. Educational resources are clearly not evenly distributed. But I don’t want to digress into definitions of “fair,” that’s a different question from the one I want to discuss now. What I want to highlight is that we’re spending a lot, and frankly, we’re not likely going to be able to spend much more. A few billion here-and-there doesn’t move the macro $800 billion needle. We’re not going to get to 10% of GDP for education. We have to make 5-6% of GDP work. The good news is I don’t think the world’s best schools are out of reach. I contend we can do it on less than we’re currently spending, and I believe the marginal improvements would be greatest for the least well off school districts. 5. have a basic preparedness for work and life. When I drop my kids off in the morning this is the blend of activities in which I’d love for them to be immersed. I’m not a tiger-mom, nor a French-parent. Just a regular guy who wants a happy, healthy, engaging environment for his kids – and who believes the rest will generally take care of itself. To this end, here is how I believe we can radically change the US (and one day, perhaps global) education system, increase student engagement, and get much more for our money. First, we can collapse the cost of delivering education for core literacy topics. I’m fine if my kids learn subjects like math and English substantially from a computer. I believe, as demonstrated by Professor Sugata Mitra, that kids, in the right environment, can teach each other, and learn in groups. I’m completely confident we can create outstanding online curricula and could put hundreds of kids together, or in groups, or on their own (with the ability to get help from teachers, assistants and their peers) to learn these subjects for a few hours per day. Watch what Salman Khan has done with Khan Academy – the lecture is now the homework and the homework is now done in class. He calls it the death of the “one size fits all lecture.” His thesis (and I agree) is that the talking part of class is best done at home, at the student’s pace, and the class is the venue for collaboration and assistance around the application of the subject (the thing previously known as homework!). This is a powerful and revolutionary innovation. This model will be enabled by tailored instruction and seamlessly blends home and schoolwork. I say every kid in America gets a laptop (55 million kids in school – that’s $5.5 billion at $100 per laptop if we had to buy a new one, for every kid, each year – which we wouldn’t). Yes, that’s expensive, but less than 1% of what we spend on education each year! We could radically change the curriculum, tools, texts, feedback loops (see Khan video above on feedback loops)…everything. Second, Kids should be moving, a lot. One third of kids in the U.S. are overweight, while well under 10% of schools require daily physical education. I’d wager the #1 competitor for spending money on education is going to be healthcare – let’s get kids in shape and re-purpose the money for the long run! We can augment the P.E. teaching staff with parents and part-timers. Core P.E. staff flanked by whip crackers. Fourth, I’d like to reinvigorate a deep appreciation of the American system of government, the fragility of freedom, and the power of an open society. I think our country has lost the fear of totalitarianism, and I believe that fear should be a drum beat in our lives. That thought has stuck with me for some time. Apathy is a social cancer, and I think our kids need a deep appreciation of the work it takes to maintain a free and open society. Karl Popper primers for all first graders! I spent much of my childhood in the British system of education (in London and Fiji). The British do a great job of teaching life skills. I used to really enjoy my home economics classes in London where we learned how to bake pies and muffins. In Fiji, at what must have been around 8th grade, we had a full accounting class! I can remember Mr. Aziz at-the-ready to reprimand a student for getting his or her debits and credits mixed up. It was fun, I felt like I knew how to do “real stuff.” I think giving kids opportunities to apply what they know, in increasingly real world contexts is good for them. What’s simultaneously depressing and invigorating about this list is that our system is funneling massive resources into item 1 – classroom-based literacy education – while draining the life out of items 2 through 5. We’re so far off the mark it’s almost comical. This also means there’s so much low hanging fruit that we’re going to be able to make astounding advances in a short time. With new technology, new school designs, and a new conceptualization of the staff makeup at schools, I believe we can radically change what our kids do all day, how they think, the shape they’re in, how they treat one other, and how well prepared they are for life. Sir Ken quotes Arthur C. Clarke in his talk: “If children have interest, then education happens.” I believe that, and I believe we can expect more from our kids, and that our kids can be empowered to help one other. As important, we can afford what I’m proposing above. In fact, if you look carefully, you can see flakes of this new model falling all around you. Our first weover.me event framed a conversation about money and altruism as a good ole’ fashion debate. While education is a hugely important and intriguing topic for our next conversation together, as I fashion a response to Ezra’s post I am stuck. I struggle to draw a line in the sand and pick up a sword to debate him. Quite frankly, I think his five priorities for education in America are spot on. Further, I also agree that we will never spend a considerably higher % of our GDP on education, and thus, we must simply devise creative solutions that would increase our ROI. What is more, we obviously follow the same twitter feeds and subscribe to the same podcasts because my exposure to articles, presentations, and interviews on education is virtually the same as Ezra’s. By way of additional reference, I would only add the website of a good friend, Sajan George, who is putting some of Ezra’s suggestions to work in very innovative ways (creating a hybrid model that converges the traditional bricks and mortar schools with the latest virtual delivery systems). His new work is called Matchbook Learning, and it was featured recently on the Fast Company blog. And so, with all of the cloying goodwill and sappy cordiality, our next weover.me conversation might not involve the bloodlust of the first one, but might look more like a Focus Group or even a Group Therapy Session. If you really miss the blood-sport of the first session, well, you can always read (or watch) Hunger Games. But seriously, it is fun to argue with Ezra, so I will push on his strategy a bit—at least where it runs the risk of being slightly detached from reality. As I read Ezra’s Five Suggestions, five major issues come to mind: Fairness, Feasibility, Cultural Values, Moral/Ethical Values, and Parents. Ezra touched on fairness very briefly, but primarily only to sidestep the topic. Fairness is a big deal; our system isn’t fair. Rich kids get it good and poor kids don’t. I have three daughters in the Oakland Public School System. Our neighborhood elementary school is incredible. The PTA is strong and raises well over $200,000 per year, and indeed, this money and the active parents behind it make this school a great one. But, my oldest daughter is transitioning into the public middle school next year. The middle school (also in our neighborhood) has 70% of its student body in the reduced/free lunch program. It is a low performing (though improving) school. Am I nervous about sending my kid there? Yes, I’m nervous. I am both nervous and scared. Will she be challenged? Will she be safe? Will she get into Berkeley? Those are the three questions I ask, though not always in that order. When it comes to educating our kids, some of us have too many choices: Public schools, independent/private schools, charter schools, homeschools, co-op schools, and alternative schools. But more and more of us have fewer and fewer choices. I am one of those with fewer and fewer choices. I feel the pain of those who have no choice but to work within the system – and frankly, I wonder if Ezra’s five suggestions are enough to bridge the gap of inequality. Is there a sixth suggestion out there? Throwing money at this issue is probably not the answer, but what will we throw at it? Ezra has given us five suggestions that could be applied to our public schools that seem like great ones. He has tried to cut through many of the ideological and political arguments (more money vs. less money, bolstering the U.S. Department of Education or blowing it up, etc., etc. ), and stuck to tangible and practical solutions. But the vested interests remain. We have an entrenched and powerful set of stakeholders in the current system. Does anyone really think the teachers unions are going to go for a massive restructuring of their work, make up and role? Do we think we’re going to find political leadership to push for these kinds of sea changes? It’s going to take decades, if ever, to see Ezra’s ideas manifest in a meaningful way. Our political leaders like to make big deals about small changes, and often sidestep the big stuff. The “big idea” political topic du jour is the Buffet Rule whereby minimum tax rates would be increased for the wealthiest among us. Many of us may agree with the spirit of this change, but the actual impact of this change is estimated to be between $40 billion and $80 billion annually. That’s peanuts – on a proportional scale – it wouldn’t even be 10% of the entire national budget for education (assuming every penny went to education!). We fight over little things, while issues like social security, health care, defense, and education – where the real money is – sit in triage waiting for attention. I’m not saying this is a Democrat or Republican problem, I’m just saying it’s very hard to get big changes made, and much easier for politicians to focus on making little things sound big. How do we mitigate the entrenchment and pull these suggestions out of Ezra’s bucolic fantasy world and into reality? In response to Ezra’s third suggestion: How do we expand opportunities for creativity like dance, music, and art? How will these things be considered “curricular” rather than “extracurricular” activities? My chief concern is that they never will be until things like dance, music, and art are appropriately appreciated in the broader culture. I don’t want to wax philosophical, nor do I want to simply eschew technology, but think for a moment about the last time that you enjoyed dance, music, and art. My guess? It was on your iPhone or on your laptop. It was an ear-budded, individual experience with a medium that truncated and then mediated the experience to a tiny screen. When was the last time you lingered in a museum or attended the symphony? If monetizing something is our society’s way of attaching value to it, then we should get serious about buying $30 ballet tickets instead of only listening to Pandora. We don’t create art anymore; we consume it. What is it about our broader cultural narrative that needs adjusting if we are indeed going to be celebrating dance, music, and art again? I am not suggesting that moral/ethical values are detached from cultural values, but I had to organize this response somehow. I am all about reinvigorating a deep appreciation for values like freedom, liberty, justice, and equal opportunity (what Ezra calls pan-American values). Ezra talks about re-engaging a healthy fear of totalitarianism, and cites present apathy as a social cancer. Ezra rightly identifies the symptoms and conditions. My concern though, is that, unwittingly, his solution might involve embracing a totalitarianism of a different kind. It might be softer, blander and gentler, but it could become all-controlling nonetheless! I am talking about a totalitarianism that puts creativity, ingenuity, morality/ethics, values, etc., solely into the political domain. (And please don’t sidestep this comment by painting it as a small government vs. big government observation. We all know that the government doesn’t shrink and grow with every administration. It always grows—the emphases and expenditures are merely different.) The real problem is that we have unduly coupled the town square with the political sphere and now, every conversation about anything or every solution to a problem is now cast as a political one (see James Davison Hunter’s work, “To Change the World”). Don’t believe me? What is the first thing you think about when you check a newsfeed, visit a website, or tune into a news outlet? You think to yourself: What is the political slant of this station, site, or journalist? How does this effect the public conversation? Well, as a minister I am asked to check my religious values at the door and leave my spiritual life at home so I can engage in appropriate “values” conversations that must remain utterly objective and completely detached from any sort of religious ideology. The problem? Well, first, this is impossible to do (Who is completely objective? Who is non-ideological? ), and second, this notion is simply back-handed totalitarianism. What we choose to value originates from a political lever (a vote, a lobbyist, a politician, a law, etc.) and how we express those values is then mediated through political mechanisms. This is totalitarianism! Sure, it might be democratic totalitarianism, but it still insists that the creator and purveyor of values/ethics is the state. If values like freedom, liberty, and equal opportunity are only attached to current political ideologies and lack any sort of transcendent rootedness, then they will not be able to flourish in their own right. They will morph and change on the whim of the majority. It is no surprise that we are apathetic and that this apathy is a cancer on society (as Ezra notes)! To be truly pluralistic as a society is to recognize the necessary and important place of religion in the broader cultural conversation. I am tired of “values” training in public schools being nothing more than Trojan Horses of political import (perhaps we could call them Lobby Horses). Let us reinvigorate transcendent and ubiquitous values by enhancing an awareness and appreciation of world religions and the central role that faith in god plays in 90% of our world’s human inhabitants. What could “values” training look like that doesn’t merely see the state as final arbiter of what is good and bad? Lastly, where are the parents in Ezra’s analysis? What role should parents play? I believe that parents set the tone for education, values, creativity and enthusiasm. Is Ezra letting parents off the hook? Can we rely on parents to be engaged with their children? Can we get parents more enfranchised in the process? I recognize that these questions might paint me into the corner as the traditional, family values guy (though I am actually more liberal than you might think—see, there you go again—making everything political!). But when a very public and political figure slips up and says that a stay at home mother of five has “never worked a day in her life,” it is appropriate to ask the question, “Is actively parenting our children a value in this country anymore?” Or, do we outsource parenting much like we do mowing the lawn or filing taxes? In summary, I’m energized by this discussion and I believe Ezra has opened the conversation with a compelling vision, but once the initial sheen of his ideas wears off, I’m left with some concerns about how we might actually get to his shining city on the hill. Now, we’d love to hear your comments on this topic! Nice blog post! I agree with everything in your plan. The one area I think you left out is… the teacher – The player on the field who has to execute the game plan. IMHO – Kahan Academy works because Kahan is a GREAT teacher and he surrounds himself with high level talent. I have watched a few of his lessons and the guy is amazing. I strongly believe that if you put the right people in the right position, your ability to achieve the goal dramatically increases. I agree with Obama’s effort to find a way to perform teacher evaluations. I don’t know how it gets done, but I know it needs to get done. I saw a stat (not sure if it’s true) that 1 in 1000 teachers will be fired due to incompetence as compared private sector positions like lawyers & programmers who have more like a 1 in 15 change of being fired. With that said…. When you are carving up your $800 billion budget… find a way to make the teaching positions a well paid, desirable, and completive position. What I like about both of your positions is that they are inherently progressive. You both are optimistic that we can change how the future will operate — we can implement reform to change the course of history. I’d like to believe that’s true. Here’s the rub: The world our kids will live in as adults will look very different from the world we live in. So what can we teach them? 1. Automation will continue, and perhaps accelerate, and jobs that can be automated will continue to vanish. So what skills do our kids need? 2. Our cultural values have continued to become more and more dominated by market thinking. Neo-liberalism still reigns as the dominant belief system, and the strongest thrive. So what skills do our kids need? It’s a tricky one-two combo of trends: if your job can be automated, it will be, and you are increasingly on your own. The technology revolution we are experiencing now changes the world and will continue to change the world, including how we educate. Software-driven Adaptive Learning (http://bit.ly/HR4uOb), among other trends, will continue to pick up speed. It cannot be stopped, but perhaps it can be harnessed. Major technology advances appear to have unexpected consequences. Here’s an example: “From a high of 65,000 active weapons in 1985, there are now nearly 8,000 active nuclear warheads and more than 22,000 total nuclear warheads in the world in 2010. (http://bit.ly/HR3Mk6).” Weird, eh? For me, the question must be preceded by a different line of questioning: how is our culture changing and how can we change our educational systems to meet that future? I am going to leave a short reply now and hopefully a deeper comment later. There is much said above that I agree with and some that I seriously question, but the need for deep and fundamental educational reform in this country is unquestioned. It is my belief, however, that such reform has to start with the fundamental notion of equity or equality of educational opportunity for all children as a fundamental right. It may surprise many–it did me–that this right is not guaranteed by our Constitution. In 1973 the Supreme Court in its decision in San Antonio v. Rodriguez declared that equality of educational opportunity did not rise to the level of “fundamental” and hence was left to the states under the reserve clause of the Bill of Rights. Until our culture, and in fact our underlying legal system reverses Rodriguez and accepts as fundamental this right, which will immediately require the system to change to allow the deployment of the kind of innovations discussed above. Educational reform, what a tar pit! Curricula are very slow to change and too often subject to stultifying political, social, or ideological vectors. Inequalities plague the public education system, and service the dark-side function of reproducing the class structure in our society. Incidentally, my ten-year tenure as a high school football official brought me face-to-face with some of the starkest evidences of this inequality: including, believe it or not, broken glass chronically present on one football field and really filthy gym toilet facilities. If their eyes are open, and I’m inclined to think the eyes of more than a few are, Castlemont (I pick Castlemont at random) players playing at Piedmont High may be as just as surprised and bewildered by the lavishness of the surroundings at Piedmont as Piedmont players are at the disadvantaged state of affairs at Castlemont. I once officiated a game at Oakland Tech or Oakland High, I can’t remember which for sure. There was a tall chainlink fence surrounding the field. The home team’s student fans were assembled outside the fence, looking in; the bleachers were almost empty. My inference – not a difficult one to draw – was that the admission fee was beyond what these students could afford. At half-time my officiating crew decided to offer to forego their game fees if the AD (athletic director) would open the gate and let the students in. After some consultation over his walkie-talkie, the AD agree. Yet, and once the gate was opened, virtually no students took advantage of the free access; they just stayed right where they were, fingers laced into the chainlink fence’s grid. I can’t remember an occasion in my officiating experience when I felt more downhearted about the condition of economically disadvantaged schools in the Bay Area. And yet my experience with schools suggests that we shouldn’t hope for any easy solutions. I taught video and film at a local small high school in northern Idaho in school year 2009. This was already in the era of a booming YouTube, and so one would have thought that students would be eager to put their ideas into a funny or compelling little video, post it at YouTube, and join the party. Yet most of my students – there were exceptions – found the class a chore. Ideas for films mostly just didn’t happen. The juxtaposition here was striking. In contrast, many students in, say, Silicon Valley schools were (I guessed) teaching themselves how to master the technology, make videos, and populate YouTube with all their offerings. Too many of my students, on the other hand, couldn’t get up the interest even though they had the relative advantage that a class on the subject offered: technology freely available, instruction, and so on. Did the fact that this was a class actually extinguish what would otherwise have been a lively interest in making videos? Or was the out-of-the-swim environment of a rural school the underlying reason? Frankly, and although I like Ezra’s ideas, I don’t know what to do about education. I have this haunting feeling that something deeper is going on in our educational shortcomings, something more pervasive and more deeply rooted in our culture. Yet, and at the same time, I have to say I’m also amazed at how good some of the results of our educational system are, too. Somehow, who knows how, excellence continues to have a chance to shine through, sometimes because of the system and sometimes in spite of it. Wikipedia informs that the trend in high school and college graduation has been steadily upward over the past six decades. At the same time, and by my informal observation, the trend in aggressive tattoos sported by NCAA basketball players has also turned sharply upward in recent years. The latter trend suggests, of course, a changing class-related quality of either college culture in general or the sports subculture in colleges. I suspect that book production and consumption in the U.S. is growing, particularly so if electronic books are included in the curve. The U.S. share of Nobel Prizes worldwide has actually been increasing in recent years. Education in a democracy certainly has the responsibility to prepare an informed and intelligent electorate. Yet the massification of education that such a responsibility implies also drags down the educational system’s broadly descriptive statistics and, indeed, its character as well. Much therefore devolves back to the supporting culture of learning behind the schools and in the families and communities of our young. Here I see a big problem. The rigors of our capitalist system – a system which has done so well in spreading wealth to the greater portion of our nation in the past – has in recent years stressed chiefly the practical value of education, particularly in its job-getting and high-salary-winning aspects. I say phooey to this increasingly prevalent orientation. The calls to the values of the enlightenment, the enrichment of our human experience, the command of our history, and the improvement of our civilization have somehow gotten downplayed with the rise of this emphasis on practicality. There was a mortarboard cap at Caleb’s graduation ceremony in U.C.’s English Department on which some new grad had written, “Will deconstruct for pay.” This captured very nicely, I thought, the (unfortunately waning) will-learn-for-its-own-sake sensibility. So what is my point? It is a pretty modest one, I’m afraid: Let’s shoot for an educational system that continues to provide the tools for two purposes: first, that our citizenry receives a basic and workable understanding of our political system and its values, our history, and our language; second, that our system continues to make available the wherewithal and the elbow room for the gifted and the very hard-working to survive their educational experience in good enough shape to make surprising and welcome contributions when, later on, they do. Where of course one or the other, or neither, of these goals is being met, then let’s pay more attention and try to fix the situation. A greater general commitment to learning in the wider society would be nice. I agree with Demian. I’m skeptical about the likelihood of reform without a cultural shift in values. Our education system is wholly un-equitable; those with access and support are on a path to success, while those without are left to flounder through a broken system with very few options. Like Demian said, the strongest thrive, which only widens the gap between the haves and the have-nots. So what do we do to close the gap and create a more level playing field for students struggling to climb the ladder? Although the examples of students and schools that have beat the odds are few, they do exist. As an educator, I know that the most important factor in student success is not the materials, the funding, or the size of the school—it is putting excellent teachers in front of the classroom. A great teacher can be successful even in dire situations, whereas a good teacher will feel frustrated and burnt out in a tough environment. I think the problem is we have a lot of good teachers who come into the profession with best intentions but lack the right skills, and we don’t have enough of these great teachers who can really make a difference. Also, there are known charter schools that have implemented extremely successful programs despite having student populations who typically struggle in average public schools. I think these teachers and schools should be the models for success. As a second grade teacher, I often felt isolated. I rarely had anyone come into my classroom to give me feedback on the work I was doing. The change I would like to see would involve more teacher evaluation and support, specifically targeting teachers who work with students who do not have support at home. Give teachers encouragement and strategies to reach their students and make the difference they set out to achieve when they chose education as a profession. Fair is not something that can be dismissed from the conversation because your proposal is addressing all United States K-12 students and hoping to maximize our finite tax portion for education. Even if we don’t use the emotionally charged word “fair”, we must at least address parity. Surely, lack of parity is something that affects everyone’s educational well being. Here’s how. Poorer school districts, though allotted the same federal funds, still lack the most important ingredient in a successful school: involved parents. Because so many parents in lower economic stratum are addressing the basic food, shelter, safety issues on Maslow’s hierarchy of needs, they are not available to contribute to their schools’ enrichment in the manner of more affluent parents. This lack of fortification leads to inferior buildings, substandard administration, and lower pay resulting in very few superior teachers. Inner city schools as cited by Kozol are often downright scary. No one wants to teach in a war zone. For that matter, no one wants to be educated in one either. Students in the inner city know that their schools do not match those of wealthier surrounding towns. Harkening back to Brown vs. the Board of Education, the issue at hand was that the inequity itself of the “separate but equal schools” sent a message to the students that they were somehow “less than” their counterparts. At best, many intercity schools today still reflect that separate but equal, and usually not even equal, status of years before. The drop out rates in these school systems is alarming (16-20%). Drop outs lead to an unstable economy, a cycle of poverty, elevated crime levels . . . more of the same. Issuing computers to every student won’t make up for the lack of welcoming facilities and superior teachers, especially for students already at a disadvantage. Uneducated/poorly educated parents do not generally provide the pre-school mind set necessary for academic success. Despite the Professor Sugata Mitra model which proves that all children can learn and that a human’s natural state is learning-readiness, daily exposure to the obvious “you are not the same (not worthy)” paradigm in the U.S. inner city schools appears to sap the students’ educational will. Schools that do not start at parity levels will drag the entire system down, or at the very least, will keep it from creating a change. Ultimately, limited tax monies will be funneled off to the criminal justice system to pay for correctional facilities and staffing. Eighty percent of incarcerated men and women lack a high school diploma and some estimate that six times more money spent in the U.S. is spent on prisons than education. •	Identify and remedy at-risk schools throughout the country. A simple measure of the school systems who are candidates for remediation is whether teachers and administrators want to work there and whether students attend. A standard of successful remediation of sub-standard schools would manifest in new or remodeled school buildings and a staff on par with at least five of the surrounding affluent communities. •	Ensure that Head Start is in place for every “at risk” community. Head start makes a profound difference in children who miss the early nurturing of less encumbered parents. Communities with robust pre-Kindergarten programs do not need to augment their system. Studies of 4,000 students followed through adulthood showed significant improvement in drop out and incarceration statistics. •	Let industry invest in education. Exxon is now running an advertising campaign where company engineers laud their former teachers. How about having Exxon invest real dollars into the education system by adopting schools in these high risk school districts? They could pour their tax breaks and some of their sizeable profits back into real schools in return for promoting themselves as “investing in the future”. The Exxon-Oakland Academy of Arts and Sciences has a great ring to it. The Apple Academy of Richmond sounds good to me, too. If no more tax dollars are available for the schools of the U.S., how about making corporate America’s pre-tax dollars a source of revenue for schools? Once we level the playing field by giving all students great schools and great teachers, your ideas, Ezra, are wonderful. I believe all students would benefit by having their own computers. Kids should learn subjects like math, history, and English at home using the very best state-of-the-art programs. As an on-line high school teacher, I believe in on-line curriculum. Then we will know that the same instruction is actually being presented to every student. And I agree that every child should be given the advantages of physical education and creative arts in every school environment. These programs should never be cut from any school curriculum. But first things first. Unless we level the playing field in education in the U.S., we will never really change anything. And what better way to promote freedom, liberty, justice, and equal opportunity than by putting our tax money and extra revenues from corporate investors into the very communities who have been denied the most fundamental U.S. right, a great education. important topic. I wonder though if plans to do more, better, smarter will be incremental at best. We have doubled real spending per student over the past 30 years, have had a series of more/better/smarter reform effortss, and yet results are flat. Instead, maybe it is time to embrace eLearning with Big Data analytics to personalize education for every child. specialize the role of teachers, and try to significantly improve results at scale. This is already starting in some charter schools, and given the education bureaucracy, is probably the only way it could start and spread. This version of eLearning is not the old computer drill-and-test but a marriage of tablets with collaboration tied to the cloud. My suggestion to you two is to consider a Vator series where you assemble startups and leading-edge educators who are driving eLearning. Good idea Duncan – there is a ton going on in applying technology tech to education – i’ll talk to the vator folks and see if there’s a special series opportunity here. Maybe even a mini-event??? The biggest problem with education today is that most people no longer understand that it cannot be done in a religously neutral way. All educational curricula are based on a set of beliefs about the nature of ultimate reality and humanity (including moral values and priorities and beliefs regarding the existence and nature or non-existence of a Higher Power or powers) which cannot be proven. In other words, this set of beliefs forms a de facto religious creed. Education was understood to be inherently religious until Secularism started to take over in the late 19th century. But even the signers of the first Humanist Manifesto in the 1930’s acknowledged that their philosophy was an alternative religion. However, this fact has since been concealed under the myth of “value-free, religiously-neutral education”. As a result, for more than 50 years our children have been deceptively indoctrinated in the religion of Secular Humanism (which relies principally on a reductionistic Naturalism with regard to metaphysics and epistemology, and on a man-centered moral relativism with regard to ethics). Consequently, the only real fix for education is for it to be seen as the religious endeavor that it inevitably is and for the state to stop favoring and promoting one religion (Secular Humanism) through tax-payer support (and thereby discriminating against those with different religious beliefs). In other words, we must end public education as we know it and make K-12 education a level playing field by letting Americans have a fair and equal choice among schools with various religious commitments (with uniform requirements for basic skills needed to contribute to society). For, ironically, what we have now with supposedly non-religious public education is actually an unconstitutional establishment of religion! They agreed with the concept of using computers for basic core courses but had some reservations and suggestions. Kenzie A. said: These online classes could be taken in the summer to give the students more options for the school year. No kid wants to go to school longer than they have to, but over the summer kids forget a lot of material from the past year. Instead of having a summer break, there should be more frequent breaks . . . all year long. Alexandra agreed “With audio recordings, informational web pages, and much more, kids can learn as much or as little about a topic as they need to. Another good reason to use laptops would be that they are so readily available in our days! Everyone uses a laptop, and so this means two important things: they will most likely be pretty cheap, and tech support is always going to be available. Both of these factors are very important, because they are going to be what makes using computers for school possible.” However, she went on to express these concerns: we cannot expect kids from ages 5 or 6 – 18 to be completely responsible with their computers. They are going to get broken, sat on, spilled on, full of ice cream and cookie crumbs, and the keys aren’t going to work after getting so full of junk. We should definitely consider the negative possibilities before suggesting laptops for a school option for children. In particular, Kenzie disagreed with any changes to gym classes: The gym classes that I have been in were very laid back and featured many games. As an academic class, I do not see how it increases the intelligence of an individual. Some students get too competitive and make others lose self esteem for not being able to perform a sport. Further, if the kids do not want to do a certain sport, it is easy to just stand while others take over. Gym already has an hour of the day in most schools and the daily amount of exercise a person should get is sixty minutes. Gym is perfectly fine as it is right now. Alexandra agreed with the need for teaching social skills: Social skills are also a huge problem! How often do we see kids who can’t hold a conversation unless their thumbs are making contact with a keypad in order to text? The good old days of looking people in the eyes and holding a decent conversation is history. However, it in fact doesn’t have to be history! We have the ability to change the social skills of kids through proper education. We can show kids how to interact with other people by realizing others’ needs and learning to properly react. Social skills will only go out the door for good if we shut that door. Let’s fight to keep that door open! Many kids grow up and have no clue how to manage money, how to get a good job and keep it, and how to appropriately interact with people. These are life skills that need to be taught. Kenzie had some ideas of her own about basic preparedness for work. About field trips she wrote: When younger, a student does not comprehend very much what they are doing except they are getting out of school. Field trips would be more beneficial to students in high school. Seeing first hand . . . the day to day tasks . . . or the life of someone in the career they chose would help prepare students for their future as well. One class that I took at Mount Mary College mainly consisted of speakers coming in and talking to the class. Each time it would be a new person with a new job title. This class helped me narrow down what I was interested in and not that interested in. . . Many high schoolers have absolutely no idea what they want to go to college for. Students need to be exposed to the world around them instead of being shut out of it for seven hours of the day. Along with the test and credit preparation, high schools should include research for students on college. Some children feel stressed about the decision and give up easily. Researching colleges may help decrease stress and increase the amount of students who want to go to a college. One interesting concept presented by Alexandra was the creation of an Educational Congress: The Education Congress should ideally be composed of 50 core-members – one from each state in the USA. . . joining would be voluntary for each state. . . and each state would receive the benefits offered by this plan. . . The Education Congress should have a collecting and saving system for money. The basic idea is every single family in the United States that sends their kids to public school must pay a certain percentage of their income each year. This percentage could be decided by the Congress, but must remain the same for people whether they are rich or poor. . . and put it in a savings account. Part of the money goes in an account that pays for the schools’ needs (for K-12), and the other part is saved away for College. Basically, the Congress is collecting and storing money so that they both have money to fix the current problems in the schools, and to make sure kids have a chance for college. So then after 12th grade, when a student graduates, he or she will receive a check that will go towards college education. Both students were interested in Ezra’s ideas and other contributions to this site, enthusiastic about being included, and feel the U.S. educational system should change. I want to leave an additional comment regarding the event yesterday. The energy and passion was absolutely amazing. As a speaker, I was grateful to get far more out of this event than I was able to contribute. 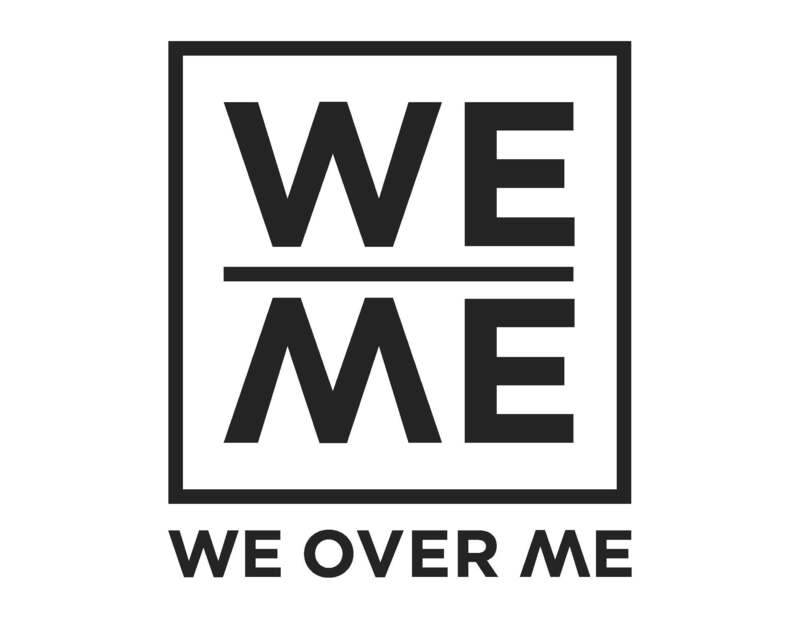 From my own perspective, as Bart put it, the goal of WeOverMe is to create an environment where openness is encouraged and transformational change can be catalyzed. The see that the deep concern about the tools and legacy we give ALL our children to grow and be the best they can goes hand in hand with our responsibility to lead the world by example when it comes to human dignity is particularly meaningful and an inspiration. The rapidly declining quality of primary and secondary public education in the United States demonstrates an immediate crisis of competitiveness and public confidence. In nearly every state an increasing number of schools fail to make Adequate Yearly Progress (AYP) (10), and American students are routinely outperformed in international tests by those from Finland, Korea, the Netherlands, Japan, Canada and Belgium (11). The disparity in performance and funding among our schools and school systems continues to widen (12). To improve the overall quality of the nation’s public schools and narrow the funding and performance gap without sacrificing the quality of our best schools requires a new policy and direction. The public and private sectors must act together immediately and with unprecedented focus. Our schools need the resources and universal oversight to ensure equality of access—equality and quality are inexorably dependent. During a time of economic crisis, we must invest in, the future prosperity of our society. Reversing the decline in public education will revitalize the strength and resilience of our economy (13). What has traditionally been a state responsibility has become a national liability; the quality of public education threatens economic stability and thus national security, and must become a critical federal priority. 2. To restore our competitiveness in public education. These goals are underwritten by a $1 trillion investment fund raised from public and private sources with monies distributed towards these key objectives: (a) Full funding for the best ideals of NCLB, adding a federal oversight board to ensure equality across state assessments and programs; (b) Incentives for states to provide equitable school funding; (c) Development of a civics curriculum emphasizing foreign affairs; (d) Expanding research and alternative assessment methods; (e) 21st century technology standards implemented in all classrooms; and (f) Increased teacher salaries, with performance and degree-based incentives. In the first three years, the federal government will commit $250 billion in seed funding to the capital campaign to scale-up effective pilot programs and conduct follow-up research. The federal government will further provide tax incentives for private sector participation. The states and localities will retain responsibility to execute the policies within guidelines to be developed. To be successful, an unprecedented partnership between the public and private sectors must be established. Opposition is inevitable to any massive commitment of public funds; however this national crises requires immediate attention. Debate may ensue over issues regarding State authority over education, and as to the methods to resolve quality concerns are most effective. This policy requires a fundamental paradigm shift—education must be seen as a national security priority and not a solely local issue.